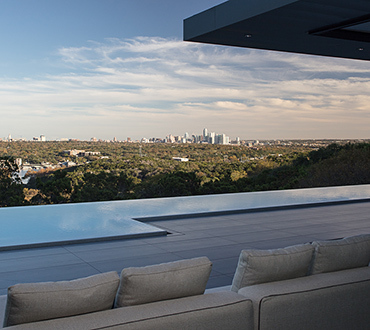 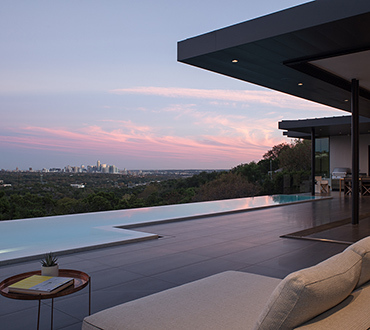 Along a secluded bend in the road in West Lake Hills, this 2-acre site drops off and opens wide to take in the surrounding hillsides and downtown view. 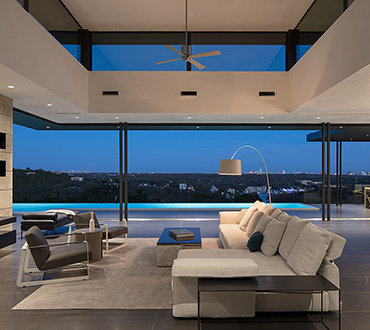 The 5,400 square foot house slides in along the top of the lot, expressing its layout with a cantilevered stair tower and glass wall showing off the living room. 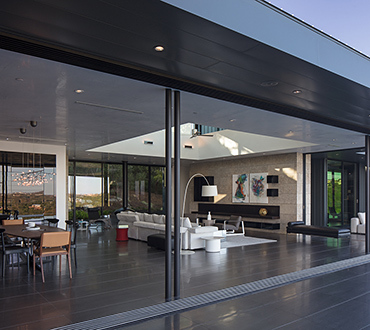 A series of floor-to-ceiling sliding glass doors open the house to create seamless indoor to outdoor spaces in the living room, dining room, study and master bedroom. 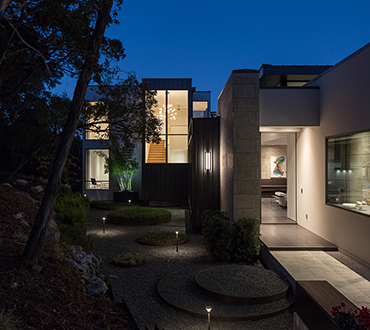 The high-contrast material palette sets up a clean and simple sense of drama, echoed in the openness of the plan, for a design that is both laid back and high style.